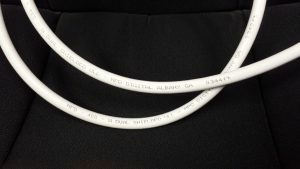 Uncategorized Archives | MPD Digital RF Coaxial Cables | Made in the U.S.A. MPD Digital RF Coaxial Cables | Made in the U.S.A.
How do you design a cable as good as LMR-400UF and charge less for it? What we came up with in fielding MPD-400 is a Hybrid. We have the flexible, non-contaminating jacket of a US Made RG-213 cable. Inside the jacket are Dual Shields of tinned copper braid and metal foil, bonded to a PE Foam Dielectric to maintain high efficiency, VF, and low loss. The center conductor is flexible aluminum clad in pure copper. This is the same construction Times Microwave uses that allows flexibility and excellent signal retention due to skin effect. Did we end up with a cheaper version of LMR-400 UltraFlex * No – we did not. Keep reading – we found that there was NO WAY to get a cable as good as UltraFlex by building it cheaper. We had to make trade-offs. When we got to 85% of the flexibility of LMR-400UF* we hit the wall. We could achieve 90% – but only at a substantial cost increase. We were looking for a coax to retail for around $1 per foot. This would demonstrate a significant cost savings to LMR-400UF*. To add 5% more flexibility to our MPD-400 would raise the retail price to $1.35 per foot. A 35% price increase for a 5% gain in flexibility. The engineering change would also cost us some of our formable characteristics. We decided in favor of price point. If we could give folks 85% of the flexibility and equal RF performance for half the cost – we felt like we had something. To get here, we experimented. We had some Marine customers, a couple of Cruise Lines, NOAA, and a ton of sailboat owners who wanted a cable with the power handling and Ultra Low Loss of Times Microwave’s LMR-400* without the stiffness, and the ability to form the cable around curved bulkheads and not have it try to spring back straight. We also had a customer up in Canada that wanted the same qualities, but the ability to use this flexible cable year round up in Yellowknife.. Outdoors. These customers needed a flexible low loss cable that would meet the rigid standards for Iridium Satellite Phone installs on their vessels, as well as the ability to use the same cable for WiFi, Cellular, VHF, UHF and other RF requirements. Just as important for MPD-400, was providing this at a lower price point than Time’s famous LMR-400 Ultra Flex. 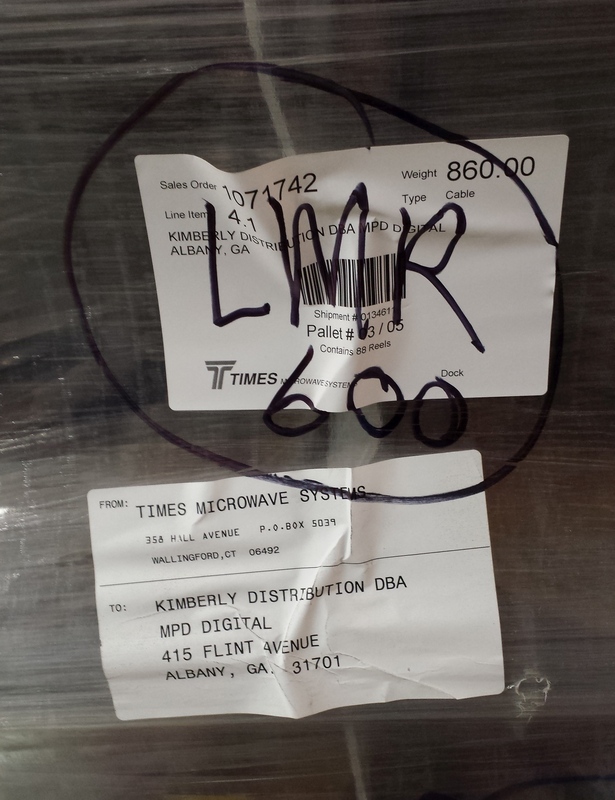 Times Micro designed and builds LMR-400UF* to be excellent coax. The construction and engineering is superb, but the price is high. The quality is second to none, but the rubberized jacket and braided center adds additional costs. We approached a long time partner, Consolidated Wire, to design a custom coax cable. Conwire has been building wire and cable in their factory just outside Chicago since 1919 – their 100th Anniversary in business is later this year! Consolidated is the manufacturer of our RG-213, RG-8x, and RG-58 cable. They also build some LMR type cable for other companies, and so have experience with the construction. 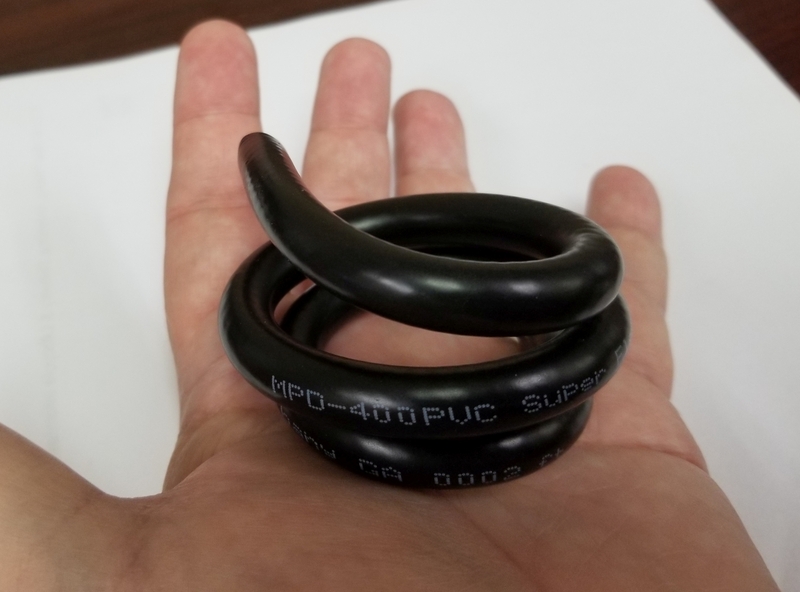 Working with them we produced our first run of MPD-400 Marine coax. When we began offering the White MPD400 we were immediately asked if we could provide it in Black. We held off doing this to see how the cable would perform in the field and if it would fully meet customer expectations. After two years of installations and no returns for cable failure, we moved into designing a formable, super flexible coax in both Black and White. We wanted a cable that would hold a two to three inch coil, be fully flexible, and easy to install – when you bent it around a corner, it needed to hug the wall and stay put. At the same time, the cable had to fill the same role as a standard 400 series coax with all the bells and whistles. We were extremely successful in MPD-400, fielding a coax that can be used for around 85% of RF requirements. Non-contaminating, UV protected, and ready for 20 years outdoor use. 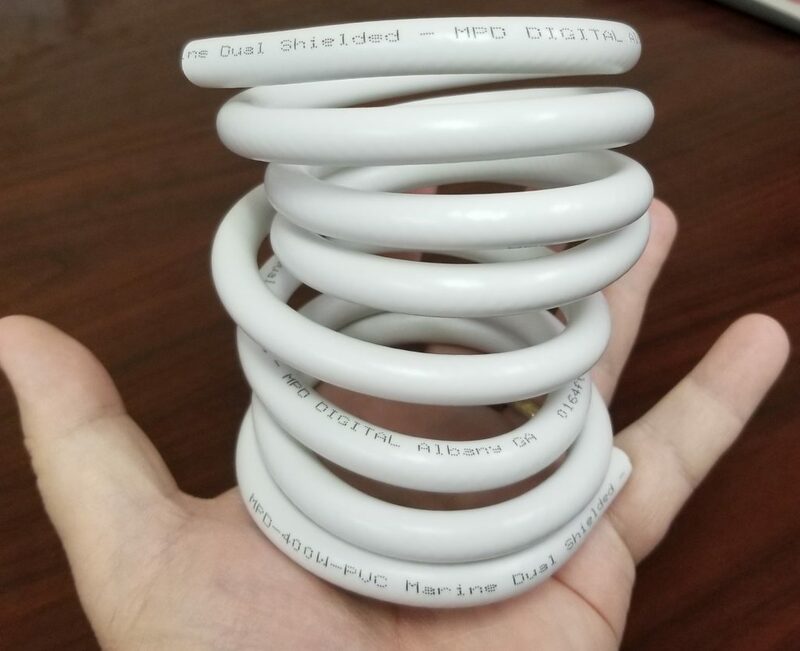 Bottom line – our MPD-400PVC is not as good as LMR-400UF* – it’s Different. For a great many applications it can act as a direct drop in, for some things such as holding it’s shape during installs, it’s much better. For other applications such as a jumper from the pole to a rotor mast where constant twisting takes place, it is totally unsuited. But for the vast majority of RF installations, it will work, and work well – At a great Price! Connecting a jumper from your rotor to your antenna. -Repeated flexing in the same spot will cause failure before 5 years of use. When you need a cable that has the ultimate in flexibility for it’s size. That is LMR-400UF! 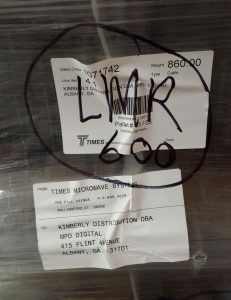 * LMR is a Trade Mark of Times Microwave Systems. MPD-400 series PVC jacketed coax is NOT LMR. We are proud to offer LMR-400 and all other Times Microwave cables to our customers. 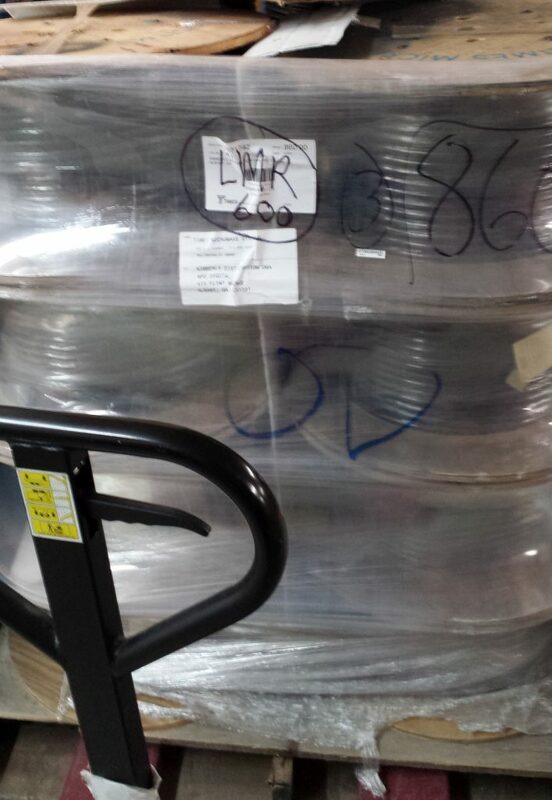 ALL LMR coax sold by MPD Digital is made by Times Microwave Systems in their factory located in Wallingford, CT.